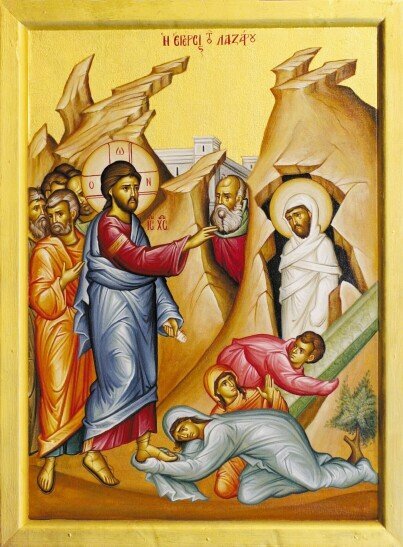 If there ever was a clarion call for us to reappraise our values and re-orientate our life then yesterday’s gospel reading of the parable of the rich fool (Luke 12:16 – 21) must surely rock us to our foundations. This foolish man, rich in material things, could only think about himself and his ease. Notice, he directs himself: “I will say to my soul, Soul, you have ample goods laid up for many years; take your ease, eat, drink, be merry.” His life revolved around his plenitude. He measured himself by the size of his storehouses and the largess of his wealth. He referenced the word “soul” as being directed only to his material needs. There is no understanding whatsoever that when this fool referred his soul he was referencing his spiritual existence. This man had no God. He was God unto himself. In this modern and secular world this fool’s view is prevalent. All of us seem to focus upon building bigger and better barns to store our material wealth. We measure success by material wealth. We view any activity that detracts from wealth accumulation as being counter-productive. We take the view that the Lord helps those who help themselves. No wonder the Pentecostals and new-age churches steeped in the gospel of prosperity are growing in leaps and bounds. You see, we want our cake and we want to eat it also. We begin to pay lip service to God and we become de facto materialists even though we profess to follow Christ. No wonder people are saying the Antichrist is near. There is nothing more confronting than to be called a fool by God. Whatever we thought we stood for, in that one word “fool”, we know we laboured in vain. So what do we need to labour for? Do we labour for the material things of this world or do we lay up treasures in heaven? I think to the true Christian the answer is self-evident. Let us be rich towards God and let us demonstrate our love for him by helping neighbour in the name of the Triune God. Above all, let us repent and leave behind covetousness as we aspire to an understanding that life is more than food and the body more than for clothing. A special thank you to everyone who assisted in making the feast day of our church such a great success. To those who made and to those who purchased; to those who served and to those who were served; to those who attended and to those who could not, yet still materially supported our endeavour… A big, big, thank you. We could not have done it without you. If any lady is interested in helping with sorting out the clothing that we have received and placing them on display. Please contact me. Please note until we have sorted the display of clothing out I am not in a position to accept further clothing items. Our food store is answering the call of those in need. We require packets of dried spaghetti pasta, canned tomatoes, long life milk, cereals, tinned meats, tinned fruit and tinned fish. Generally we supply families and people who have the capacity to cook so our focus now is upon providing them with ingredients. If you wish to help financiallythe account details that our store operates from are: BSB 082057 account 616004624.